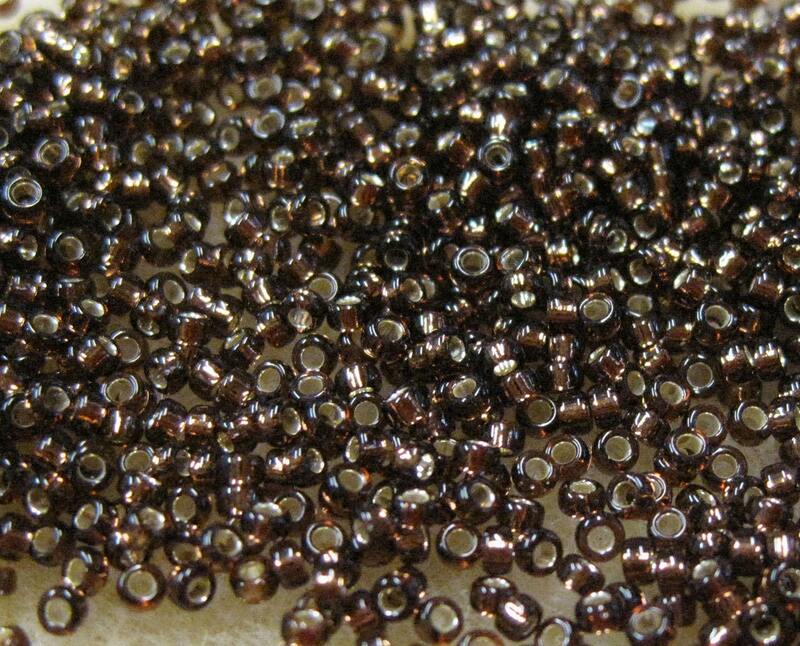 Transparent Silver lined bronze 15/0 Miyuki Rocaille glass seed beads. 8 grams of beads in a 2 inch tube. Size 15/0 beads are great for creating detailed patterns and for introducing subtle color changes into your beadwork, not possible with larger beads. Perfect for going around corners or for filling small spaces in patterns with larger beads. Plenty of beads for your beading, bead weaving, fiber arts projects - around 2,000 per tube! Love this color. Really needed some 15/0 size beads. Thank you!